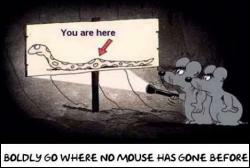 Ever wondered where those missing mice went? Found this while surfing the web and thought I'd share it with you guys. Hope this works, my first pic post.